I've tried to recreate this with the playlist and it works fine here, please tell us a few easy steps in order to reproduce it, thanks. 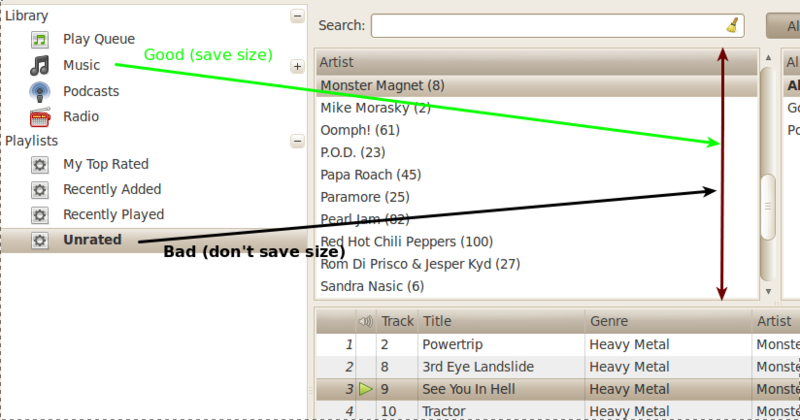 Confirmed, it's not saved at all the size nor the browser, will have a look upstream, Thanks Viper!. Thanks for the bug report. This particular bug has already been reported into our bug tracking system, but please feel free to report any further bugs you find.